The round Arc en Ciel folding table by Emu is a great addition for outdoor use and can be used especially on small balconies and terraces. At the table you can enjoy a cosy breakfast in the sun and when it is no longer needed, the table can be folded up in just a few easy steps and stowed away to save space. 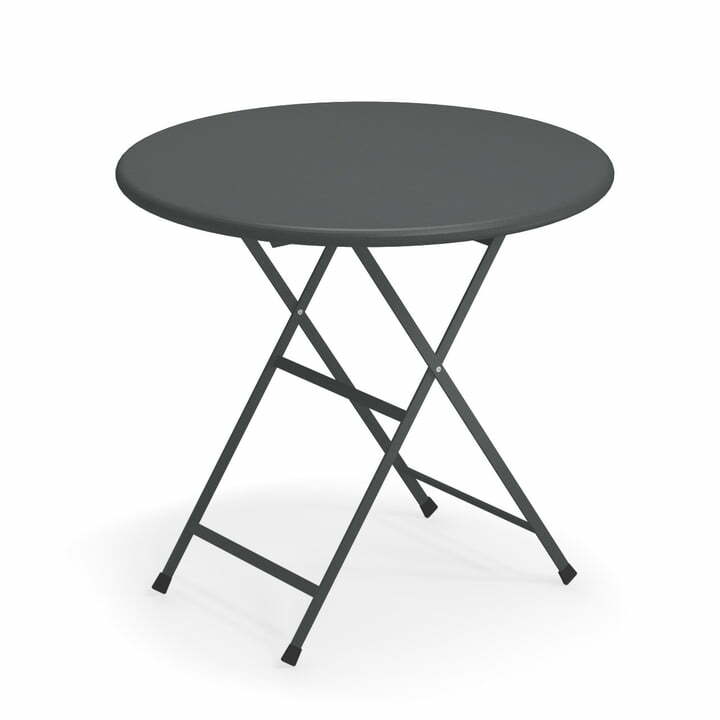 The Arc en Ciel folding table is made of painted steel, which is ideal for outdoor use. Wind and weather cannot harm the table. The look of the table is reminiscent of French bistro tables and thus brings Mediterranean flair to the home garden. The round Arc en Ciel folding table by Emu is available in different colours, which can also be combined excellently with each other. Together with the matching folding table from the Arc en Ciel series, you can create a stylish small sitting area on the balcony. Arc en Ciel folding table, Ø 80 x H 74 cm in antique iron by Emu in single view. The round Arc en Ciel folding table by Emu is a great addition to the outdoor area and can be used especially on small balconies and terraces. The folding table is made of painted steel.